Blackfoot Tribe. 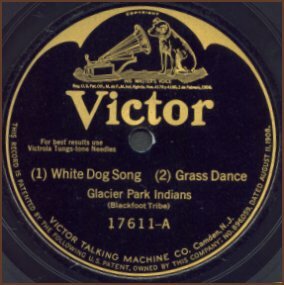 These are three songs recorded after 1920 and before 1930. Quality is good considering age of these antique recordings. Never played before, you will listen to recordings of first playing of this very old record, a rather rare find. 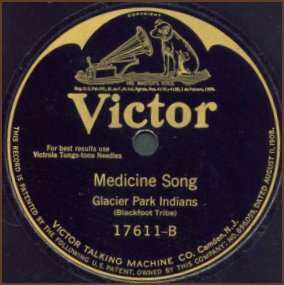 An Audiotronics 300 tube type record player was used to play this rare 10 inch 78 rpm "Victor Talking Machine" record. This record player is over fifty years old and this record, over seventy years old!